Projects…………………. new things I’ve tried and the results. 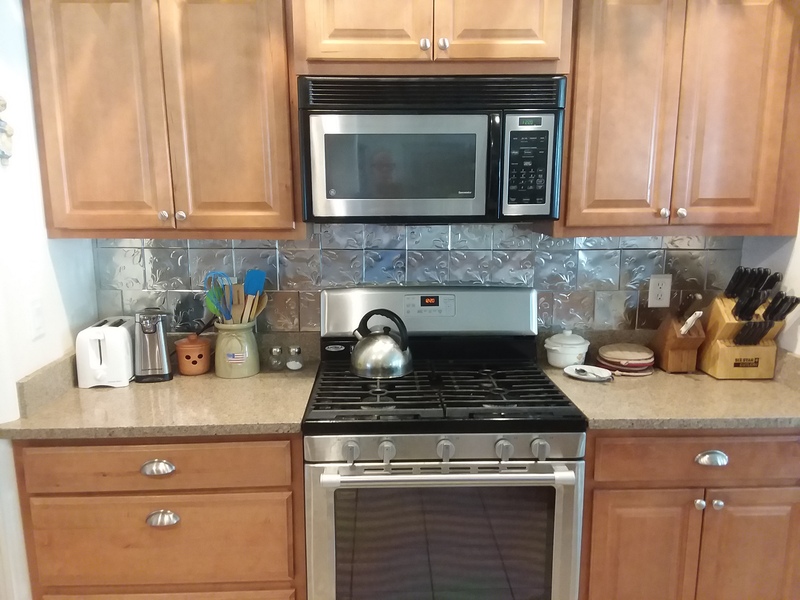 I have been wanting to put up some backsplash in our kitchen (behind the stove of course) for some time now. Finally got some cute little 6″ square tin tiles and began the process. Of course they come with double stick tape stuff to put them up. Well they don’t stick so well so I got a tube of liquid nails and used both, awesome it works. Got it done yesterday and it looks great. Now I will admit this does not look at all professional but my husband likes it so its all good. 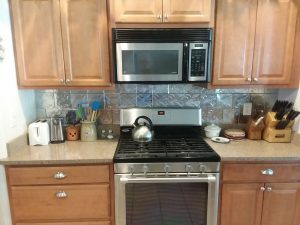 Discovered during this process that apparently the piece of granite that goes up the wall a short way is not totally level, however, as I told my husband with enough stuff on the counter no one will see anyhow! Next thing I tried was making my own mayonaise! Had thought about for years and just never done. Oh my goodness it was easy and turned out so yummy, don’t know why I have not done this before, may just quit buying store bought. It is thick and creamy and I am already thinking about ways to spice it up if we want it for specific recipes or dips/sauces. I boiled up a bunch of eggs and made a lovely egg salad using my mayo! After all these projects were done I went out to the garden and found , to my delight, that we had some lovely potatoes ready to dig. 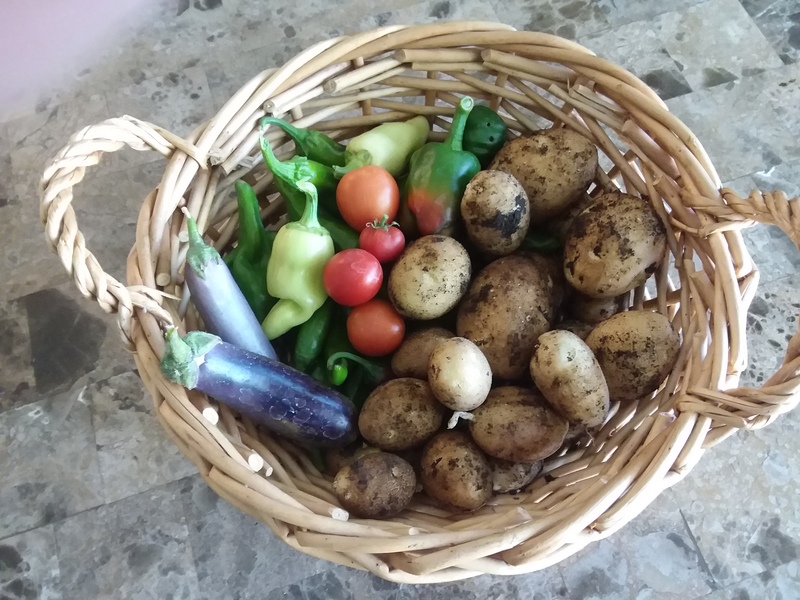 We only had a couple plants as I just plopped in a couple spuds that were growing in my pantry – LOL. Will do more next year as I truly love new potatoes. Also picked some peppers and a few tomatoes and a couple of tiny little eggplants. Ok thats it for now! Enjoy the last parts of nice weather as I hear we are to get another cold, snowy winter here in Idaho! Love both! Good job and thanks for sharing!